“The FAKE NEWS media (failing @nytimes, @CNN, @NBCNews and many more) is not my enemy, it is the enemy of the American people. SICK!” This was the original tweet that President Donald Trump sent out last month before removing “SICK” and replacing it with two more news corporations in what can only be described as a declaration of war on the US media. While the point can be made that he only mentions fake news, it is hard to define what real news is when you’ve excluded the New York Times, CNN, NBC and “many more.” Hours later, entry was denied for an off-camera press briefing to other reputable news sources such as the BBC and the Guardian. Trump’s presidency thus far, and the election as a whole, has brought up numerous questions about the role that the media plays in our lives in the 21st century. Fake news stories have become a virus like no other, and distinguishing myth from reality has become an increasingly difficult task. Social media has given every member of the public a voice on the world stage, muddying credible opinions and distorting the truth. Miloš Forman, one of the most important directors of the Czechoslovak New Wave, described free press as “the cornerstone of democracy”, yet there seems to be a deep mistrust of the society’s watchdog today. One reason for the angst surrounding global media is the control that a small amount of large corporations have over what we see and hear. According to Business Insider, in 2011 90% of what Americans read, watched or listened to was controlled by 6 companies. This is compared to 50 companies owning the same proportion in 1983. What the 2016 US election has shown us is that there is a deep mistrust of these enormous corporations and establishment politics, and that animosity has now filtered through to the media. The US is not the only country at risk of having the media controlled by a small group of entities. The European University Institute’s Centre for Media Pluralism and Media Freedom’s (CMPF) report for the European Commission puts Ireland at ‘high risk’ in terms of its concentration of media ownership. For example, Independent News & Media enjoys a large stake in the private sector of Ireland’s print media, and is now controlled by Denis O’Brien, following the resignation of Tony O’Reilly as CEO in 2012. 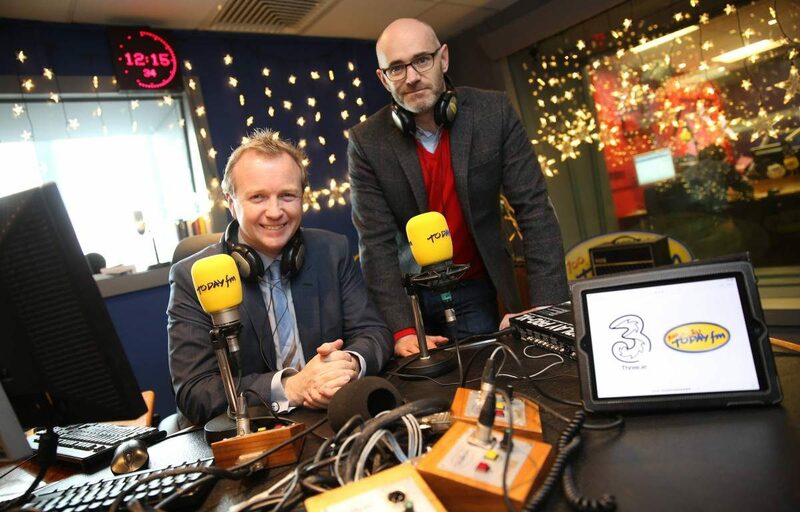 He also has significant holding in the commercial radio sector, being a principal shareholder and chairman of Communicorp, which dominates the country’s national radio stations apart from state broadcaster RTÉ. I spoke with Today FM presenter of The Last Word and author of The Maximalist: The Rise and Fall of Tony O’Reilly, about this worrying aspect of Irish media. Another major problem in the media today is the instant news updates which are now supported by the rise of the internet. A good journalist should always focus on getting a story right before releasing it to the public, but the accelerated nature of online journalism means that this canon is often forgotten. This leads to falsities and inaccuracies filtering through the media and permeating the public sphere. A recent example of nonchalant information use was seen in the Dáil last month when Brendan Howlin released information pertaining to the Sgt McCabe controversy which was entirely uncorroborated and had been passed through two people from Noirín O’Sullivan, the Garda Commissioner. This practice damages the credibility of media outlets and can make it difficult for the public to trust what is being written and said. The constant clamber between news outlets to get a story out instantaneously is destructive and there has been numerous examples over the last year where updates from news apps are quickly redacted by a second one due to poor reporting. Even when articles are correct, they can be poorly written and laconic due to the timespan given to researchers and journalists. A problem that can be seen in the US, but not necessarily in Ireland, is the polar nature of the media outlets there. There is a distinct right and left (although not as far left as we might think of the left in Europe) in print, radio and television, giving most stories an almost comical bias. We can look at some of the news organisations that Donald Trump banned and didn’t ban last month for guidance here. CNN, the BBC and the Guardian are all certainly left-leaning corporations, while Breitbart, a website of far-right persuasion, was allowed to attend. When I put this to Cooper, he was of the opinion that there is a healthy debate, but also a real bias in Irish media and politics. There can be a real problem when politics and the media coalesce due to an overly friendly relationship between a source and a journalist. Some journalists will rely on a close connection within an organisation for a story, such as An Gardaí or the Dáil. This can be healthily maintained, but I’m of the opinion that a journalist should never have a preference towards a political party in Ireland so that bias can be avoided. Because of Ireland’s size and culture, I asked Matt were journalists in this country at risk of this bias seeping into their work. Finally, the nature of the media today means that everyone can have an opinion on a matter and voice it accordingly in a public forum. Uninformed content on Facebook and Twitter feeds into a churning vacuum of false news and inaccurate information, which can affect events bearing consequence on real life, such as trials or elections. For example, jurors in a criminal case could now be easily swayed by discourse on social media which might be irrelevant to the case being heard. Cooper does point to this being a significant problem in 21st century Ireland. Media has always been a protector of society and facilitator for public discourse. It is an important tool in a democracy in ensuring that those in power do not have free rein over the information broadcasted to the electorate. However we must also be wary of the power the media exerts in the 21st century. Inaccuracies and falsities lead to distrust and a misinformed public, while the rise of instant news damages the presumption of innocence, a fundamental component of common law theory. Malcolm X said that: The media’s the most powerful entity on earth. They have the power to make the innocent guilty and to make the guilty innocent, and that’s power. Because they control the minds of the masses.” We must be wary and maintain control of this pillar of democracy; a step in the wrong direction may mean that there’s no going back.